"News of the World AM Edition"
Historical documentaries tend to present the Second World War in terms of campaigns. It is easier to pick out what are the important events with the benefit of hindsight. It should be remembered that for the radio listener at home, the War unfolded in real time, with only the comments of reporters to make sense of what was important. By the beginning of 1942, it truly is a World War for radio listeners, with reports coming from all around the globe: Washington, New York, London, Moscow, Hawaii, Batavia, San Francisco, Manila and Los Angeles. On Jan 7, Walter Winchell hosts a preview of the Joe Louis and Max Baer fight. Both the broadcast and the upcoming fight will benefit the Navy Relief Society. 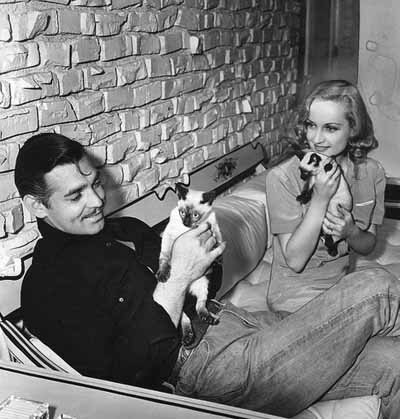 In mid January, actress Carole Lombard travels to Indiana in support of a very successful War Bond Drive. Anxious to get back to her husband Clark Gable, she has some servicemen bumped from a flight heading west. After the flight refuels in Las Vegas, it crashes into Pitosi Mountain, killing all on board. Miss Lombard is considered Hollywood's first fallen in the Second World War. Jan 20, The Rita Murray Show, a talk show from LA, Rita talks about avoiding belligerence in the face of Wartime shortages, and calls for listeners to knit items for servicemen. On Valentines Day, just sixty-nine days after Pearl Harbor, the four major networks got together to present This Is War. The series is unabashed American and Allied propaganda, produced by no less than Norman Corwin, commissioned by FDR, and featuring the cream of Hollywood, many of the players already in uniform. This Is War is some of the most "visually stunning" of all radio programs. The next day Japan announces the defeat of Singapore and Churchill reports on the Atlantic Charter Summit. Near the end of the NBC News Roundup that day there is a report that a steel plant worker found a shortcut to cut the production time of each steel billet by five seconds. That little efficiency alone yields 79,000 tons more steel from the plant. Also from the Pure Propaganda department, our collection includes a couple tunes from singing cowboy Denver Darling, "Cowards over pearl Harbor" and "The Devil and Mr. Hitler". Even more effective musical propaganda comes from Spike Jones and the City Slickers with "Der Fuehrer's Face". In the early morning hours of Feb 23, anti aircraft guns began ringing out over Southern California, as gun crews tracked and attempted to engage a slow moving aerial object flying south from Santa Monica. The "Battle of Los Angeles" was later attributed to a loose weather balloon. 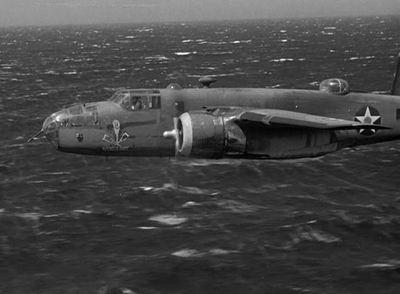 The April 20 broadcast of Mobil Gas News passes on reports that Tokyo had been bombed by Allied aircraft, what we now know as the Doolittle Raid. Japan reports that the aircraft may have escaped towards China while Washington keeps quiet. The island fortress at Corregidor was finally forced to surrender on May 7. The Battle at Midway Island occurred on June 4-7. Considered a major turning point in the War, the US Navy effectively halted the Japanese naval advance in the Pacific. The Major League Baseball All-Star Game on July 7, played at the Polo Grounds in New York is allowed to go on despite the wartime blackout. Blackouts were far from the only wartime concern in the Majors; radio commentators were forbidden to talk about the weather at game time for fear of giving information to the enemy. 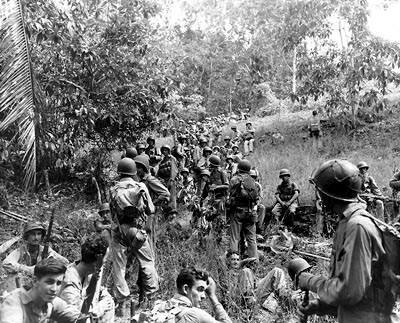 The Battle for Guadalcanal begins on August 7. The battle is the first major Allied Campaign against the Empire of Japan and will go on for six bloody months. We will hear a report from NBC's Behind the Headlines on Oct 18. On August 19, Canadian Forces land on the beaches at Dieppe, France, hoping to open a Western front. The unsuccessful raid showed that the Allies would not be ready to assault the European mainland for several months. The face of popular music was in for a change. 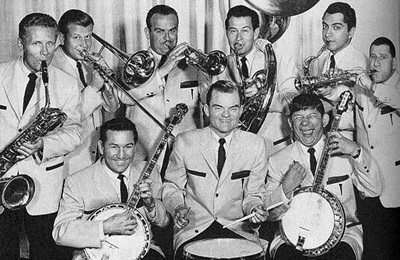 On the September 23 broadcast of Chesterfield's Moonlight Serenade, it is announced that Glenn Miller has joined the Army and will be leaving the show. On October 21, from the BBC, we hear General Montgomery addressing his 8th Army on the eve of the Second Battle of El Alamein. This will be the first major Allied offensive which will result in a decisive victory. It is a turning point for British and Allied morale. Winston Churchill says on November 10 that victory in North Africa is not the end of the War, or even the beginning of the end but that it may be the end of the beginning. One year after Pearl Harbor, Gabriel Heater's December 7 report is on an America changed by the needs of War. We celebrate Christmas, 1942, with a star-studded gala from Command Performance. Be the first to comment on "News Recordings 1942"